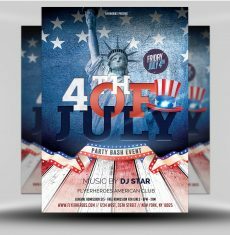 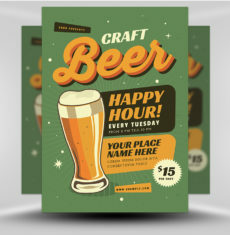 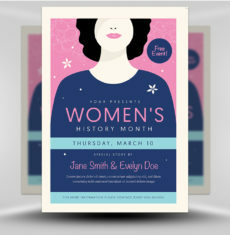 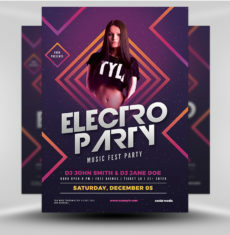 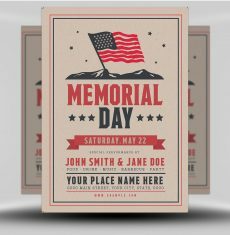 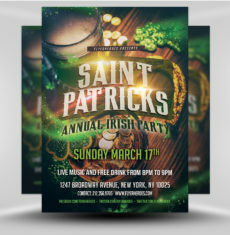 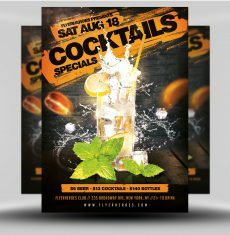 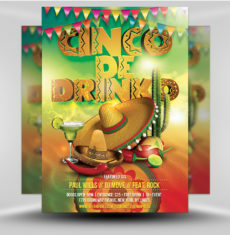 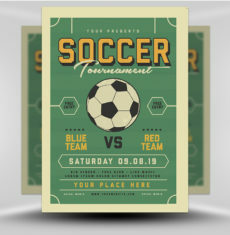 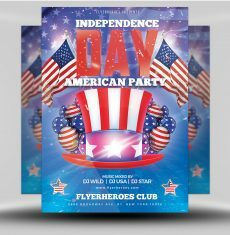 Saint Paddy’s Day Special Flyer Template is a St. Patrick’s Day Photoshop PSD Flyer template for promoting your upcoming St. Patrick’s Day events and parties. 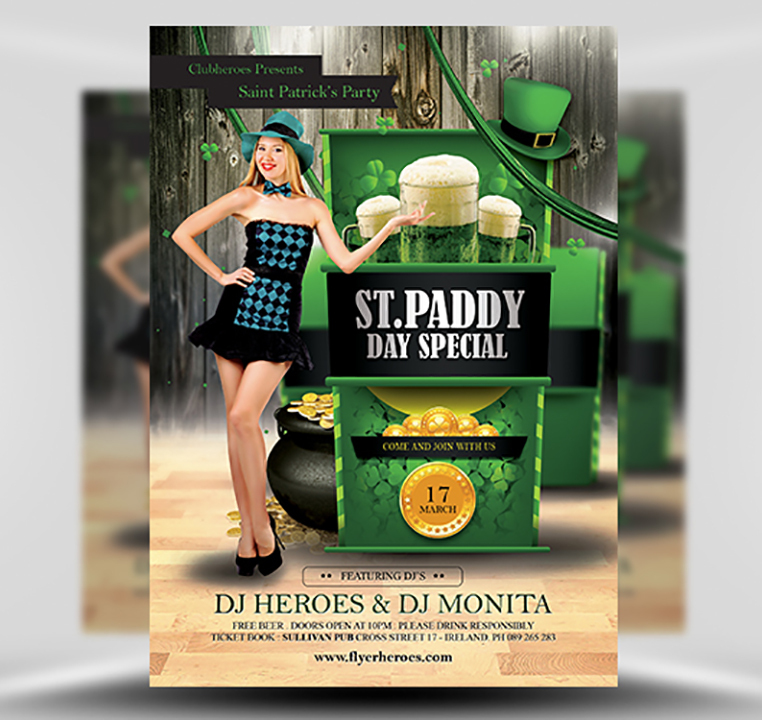 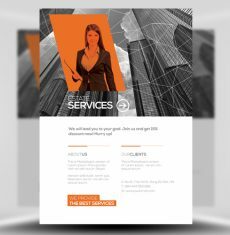 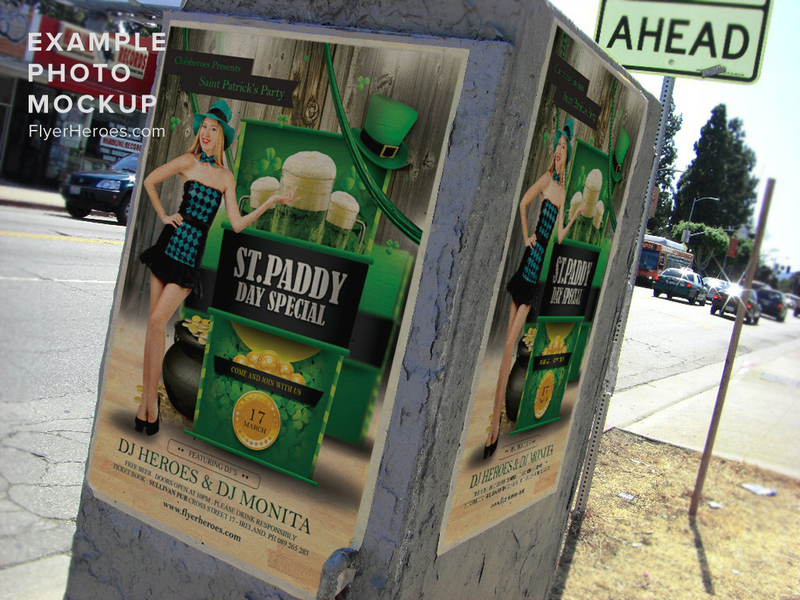 With a largely green colour scheme and lots of St. Patrcik’s themed assets like shamrocks, green beer, gold coins and lots of space for information text & model photos – this is the perfect flyer for promoting your St. PAddy’s events. 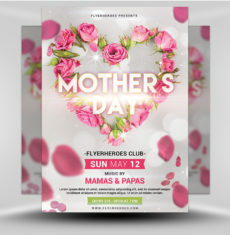 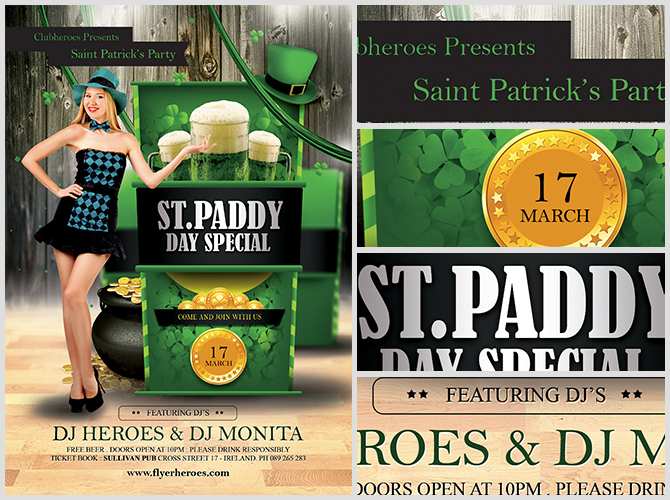 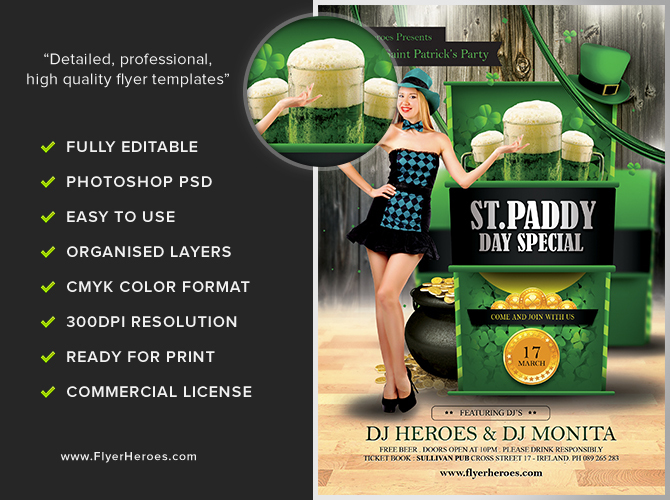 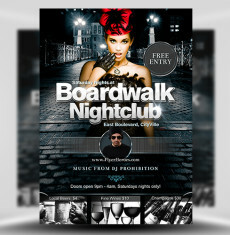 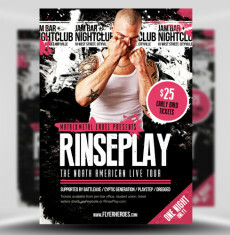 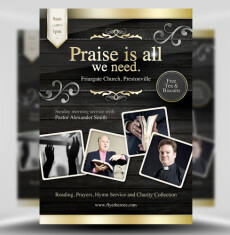 Saint Paddy’s Day Special Flyer Template is a premium Photoshop PSD flyer / poster template designed by FlyerHeroes to be used with Photoshop CS4 and higher.